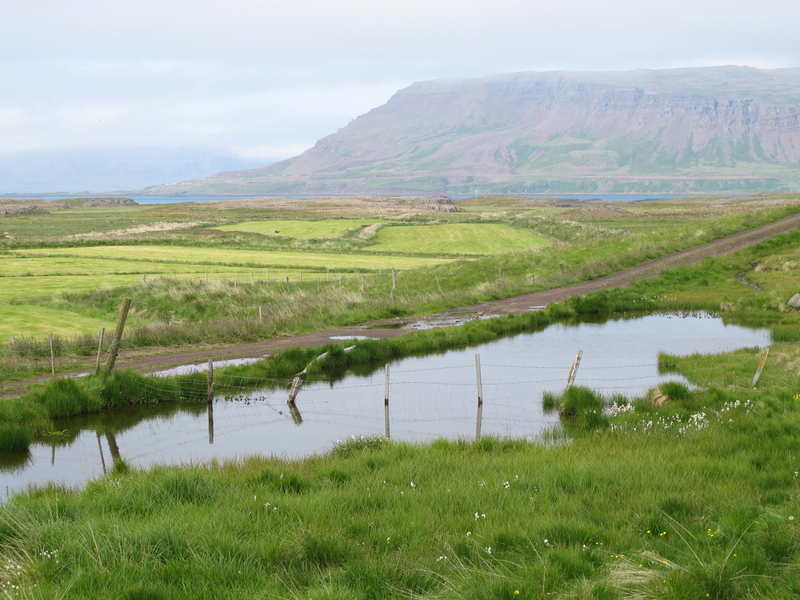 We were driving slowly down a gravel track in north west Iceland, the loose surface of the minor road is tinkling away on the underside of the hire car, sounding like boiling chip fat. I was starting to regret not checking the box for gravel chip insurance. We were travelling slowly, stopping frequently to photograph waders on fenceposts (I might "post" about the posts at some stage) and to look for Black-tailed Godwits to ring for our expedition - Operation Godwit. Up ahead I saw a small pool next to the road. It looked fairly shallow and has rich deep green emergent vegetation surrounding it and I could see a fog of tiny flies backlit by weak sunshine. I turned to my passenger @ronthomasphotog and say "Well, that looks a bit... Phalarope-y". We came to a halt a few metres from the pool and I scanned with the binoculars. Almost immediately I spotted what I was really hoping I would see on this trip. I was told that we would get to see many of them, and get close to them too. 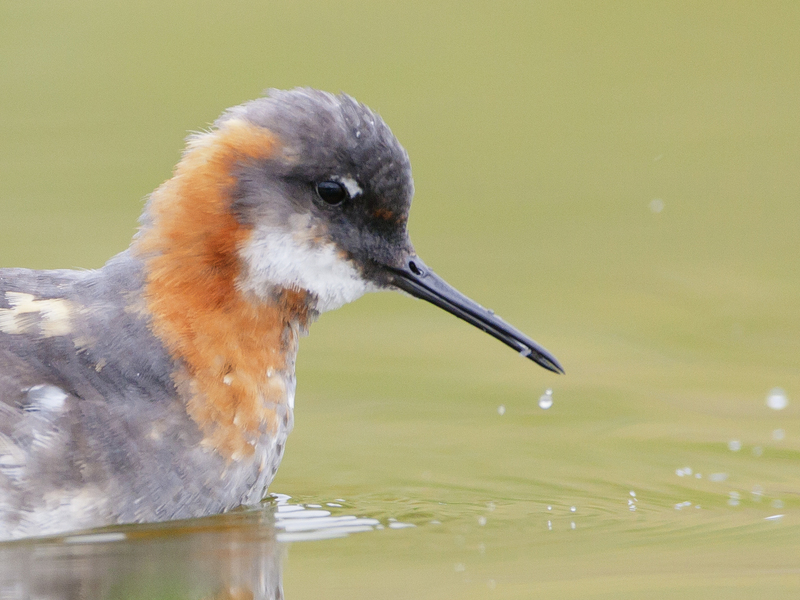 Yes, indeed, as spinning and paddling away in the pool was a Red-necked Phalarope. It zoomed about catching flies on the surface of the water just like its parent. Then a female dropped into the pool and did the same. Plenty of flies were being gobbled up and the family didn't seem at all bothered by us. 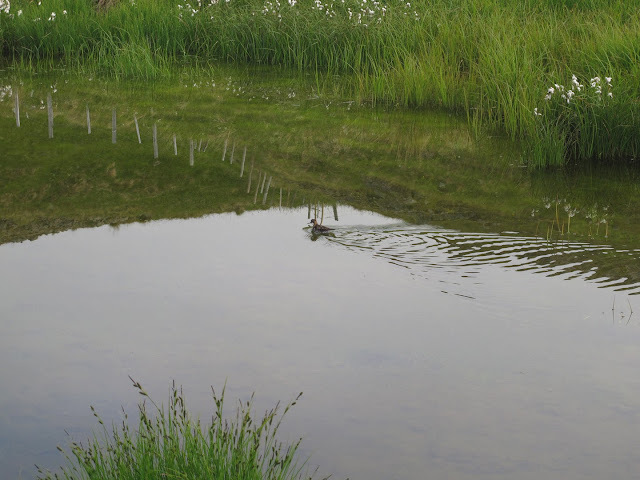 The pool was just behind a working farm yard and the birds seemed well used to people and machines/vehicles. The radio we have been using to communicate between expedition cars crackled into life. Our leader wanted to know if we'd found any Blackwits. 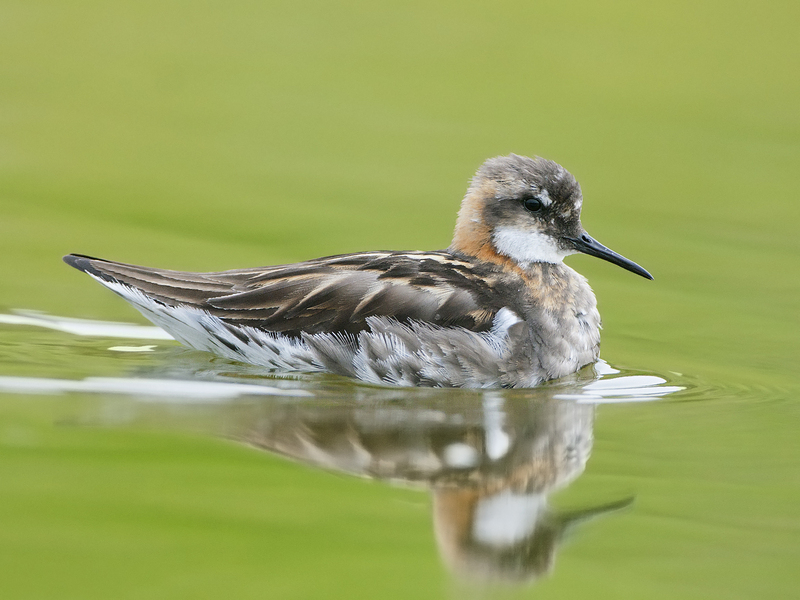 I said no, but reported the Phalaropes in case the guys wanted to come see them too. As Iceland veterans they are well used to seeing plenty of theses birds, but I was still dizzy from seeing 3 in the same pool at such close quarters. When I mentioned that one of the three is a chick they decided to hot foot it to our location and try and ring the chick. In the meantime I took some pictures. 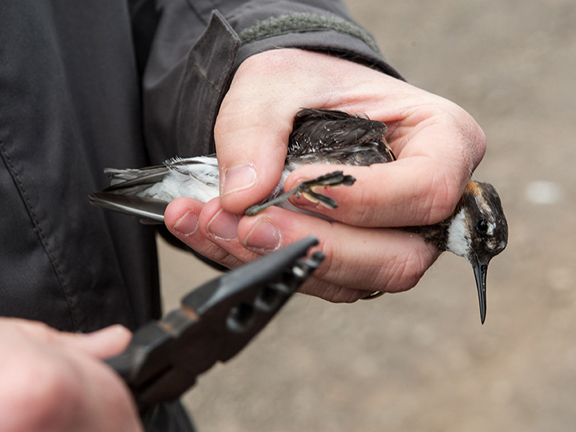 @ronthomasphotog recorded me slipping the ring on and closing it with the pliers, genuinely thrilling to do for me, the bird is a little rascal in the hand, very different from the docile Blackwits I had held. Pete then measured various parts of the bird while I recovered my composure and stared at its feet. The palmation, the partial webbing is not something you normally see in the field and was a real treat to examine. Perfect for swimming in the tranquil pool beside us and for navigating the open ocean during the winter. 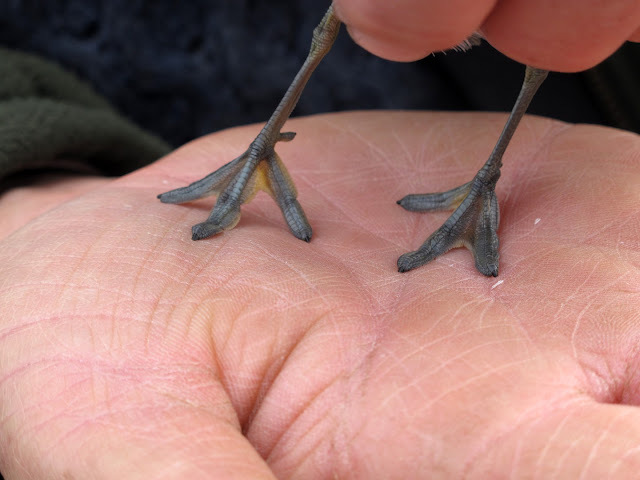 That these tiny waders manage a pelagic winter is mind blowing, they seem too small. 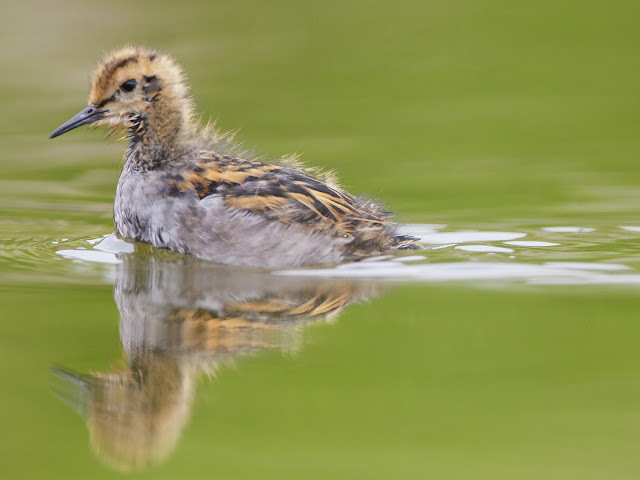 But they are tough cookies, we released parent and chick and they retuned to the pool and carried on as if nothing had happened. We moved on too, leaving the family to get on with their day. The whole episode lasted less than an hour but will stay with me for a long time. I took nearly 250 pictures of the birds and I have more to share soon. In the next few days.... "Full Phalarope Five"